When food safety procedures are followed correctly, then no one should become ill from contaminated food. Occasionally, however, something goes wrong and people get sick. If that sickness is due to a bacterial biological hazard, then the go-to response is antibiotics. However, overuse and preventative use of antibiotics throughout the food supply chain (as well as over-prescription from doctors) means that the threat from antibiotic resistance is growing by the day. Eventually, we may no longer have treatment against bacterial diseases, and people could once again die from common infections and minor injuries. Urgent action is necessary to reduce antibiotic usage in the food supply chain to avert potential disaster. By 2050, drug-resistant infections could cause as many as 10 million deaths a year - more than cancer kills today. On top of this, the cost of dealing with the health issues that arise could cost up to $100 trillion dollars, pushing more than 28 million people into extreme poverty. Dame Sally Davies, the UK’s chief medical officer, described the potential problems as an “antibiotic apocalypse” waiting to happen. 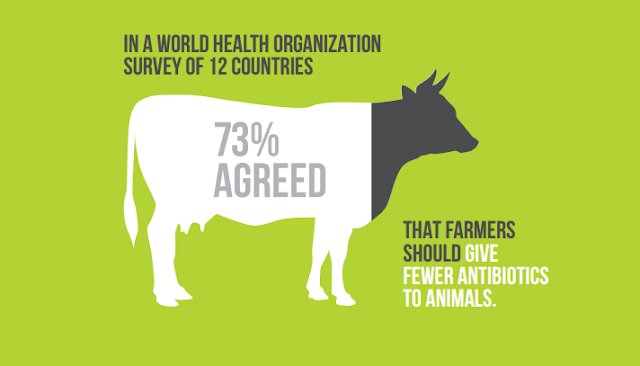 Misuse of antibiotics in animals destined for food is a major cause for this developing resistance. Farm animals consume about two thirds of the world’s antibiotics, and often this is for inappropriate or preventable reasons such as to make them grow faster or to make up for unsanitary conditions. This week is World Antibiotic Awareness Week, and in a letter to the Guardian, Consumers International called upon fast food giants Subway, McDonalds and KFC to cease usage of all medically important antibiotics in all of their livestock supply chains. This means enforcing the same rules on their suppliers, meaning antibiotics can only be used to treat animal disease, rather than for prevention or growth. 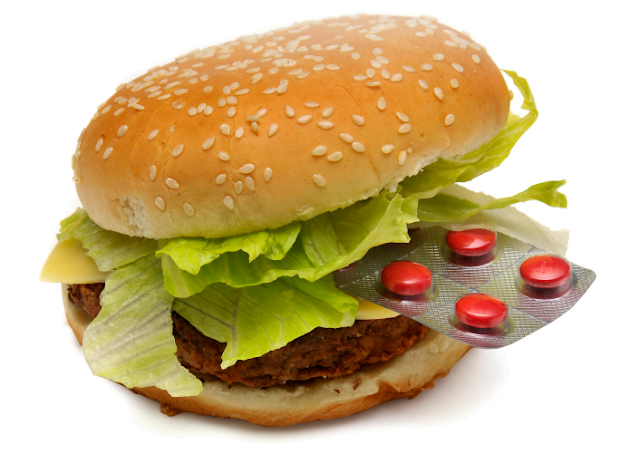 There has been some progress made on the issue with the behemoths of fast food production, some of the largest buyers of meat, with 9 companies out of the 25 largest US fast food chains earning pass grades in an antibiotic usage survey by the NRDC. Subway received a B grade, and McDonalds a C, but KFC scored a dismal F, along with many of the major chains. However, though this may represent progress, it’s slow progress, and it only factors in one region. Globalisation and the spreading of food supply chains worldwide means that action in one area will not be enough. As consumer awareness of the issue grows, food producers face increasing pressure to aid in a global effort to combat antibiotic resistance. After all, diseases do not respect borders. Subway, McDonalds and KFC are in a strong position as industry leaders to set an example on responsible antibiotic usage in food production, but any food processing plant can do their bit by ensuring rigorous supply chain selection. Otherwise, the consequences could be dire.